Welcome to another edition of Payout Perspective! This week we’ll be taking a look at the Spike TV network debut of Bellator, which was headlined by the Bellator Lightweight title bout between champ Michael Chandler and tournament winner Rick Hawn. The co-main event featured a Featherweight title bout between Champ Pat Curran and tournament winner Patricio “Pitbull” Freire. The event took place from the Bren Events Center in Irvine, California and featured a LW title fight between Chandler vs. Hawn, FW title fight between Curran vs Pitbull, and the beginning of the LHW tournament featuring Babalu vs Zayats, Petruzeli vs Noe and Newton vs Djambazov. The prelims portion was streamed on SpikeTV.com. No fighter pay has been disclosed at this time. Bellator 85 held at the Bren Events Center in Irvine, California unofficially drew 4,570 in attendance for a $138,446 gate. Of those in attendance, 2,570 were paid and about 2,000 were comps. The average paid ticket price was around $54 per ticket. These numbers have not been made official yet by the CSAC, so we will release those as soon as we get them. At this stage, Bellator is clearly meant to be a TV product, and the most important thing for them is to get fans to come out to their events to provide a great event atmosphere for Spike TV. We also must take into account that the events are being held on Thursday nights, so booking smallish venues and filling them up should be the goal here for Bellator to provide a good TV product. Of course, as Bellator grows, expect attendance and gate numbers to grow as well, but for now expectattendance numbers between 1K-5K with a gate between $100K to $200K. Bellator 85 on Spike TV Thursday night averaged 938,000 viewers (0.7 rating) and peaked at 1.219 million viewers. The key demo rating of M18-34 was 0.7. This was the largest audience ever to watch a Bellator event, breaking the record of 325,000 viewers on MTV2 for Bellator 44 on May 14, 2011 by nearly tripling it. Bellator benefited greatly from their lead-in, TNA Wrestling, who drew 1.6M viewers and heavily promoted Bellator’s debut during the show. On the other hand, Bellator was going up against the Lance Armstrong confession on Oprah which pulled 3.2M viewers and against Lakers vs Heat, which did 3.55M viewers on ESPN (Dave Meltzer of MMAFighting). For comparisons, UFC on FX averaged 1.2M average viewers per event last year (8 live events on the higher rated FX in 2012). Fuel TV only averages 100-200K viewers per event and is in far less homes, so a fair comparison wouldn’t apply though it shows what type of an impact the TV platform has in terms of overall viewership and sponsors. The last five Ultimate Fight Night events the UFC ran on Spike TV averaged 1.73M viewers between 2010-2011. The very well done “King Mo: Unrivaled” special which aired after Bellator from 12:00am – 1:00 am drew 376K viewers per Loretta Hunt of Sports Illustrated. Good auxiliary programming from Bellator/Spike TV here. Rating Notes: Bellator averaged 1.1M viewers for first 45 minutes of the broadcast (10:00- 10:45PM)… Compared to the Bellator 7 premiere on MTV2 – Bellator’s debut on Spike TV was up +195% in M18-49, +200% in P18-49, and +394% overall. – The rest of the event hovered around 800-900K viewers until Petruzelli vs Noe, which dipped below 800K around midnight. Bellator’s 50 events on MTV2 averaged 180,000 viewers per event. In order to prepare for the big debut on Spike TV, Bellator changed its name from “Bellator Fighting Championships” to “Bellator MMA – Championship Tournaments” and modified the logo. Interesting to point out “Fighting Championships” was previously shared with the UFC (Ultimate Fighting Championships) before the change. The reason for the change is clear. They want to separate themselves from the UFC and stress what is different about them, which is the tournament format, where you earn your title fights. It’s something the UFC has been a bit lax with this past year giving title shots to the most marketable fight they could make rather than the #1 contender in the division. The other key aspect of making the transition from MTV2 to Spike TV was to let the Spike TV audience as well as the MMA audience know about it. Below are some of the promo materials that were used to promote the move for this past Thursday night. The first event has to be considered a success and fell in line where Spike TV executives had hoped. Bellator now has to try and maintain the momentum in hopes the Bellator fan base will continue to grow throughout the season. 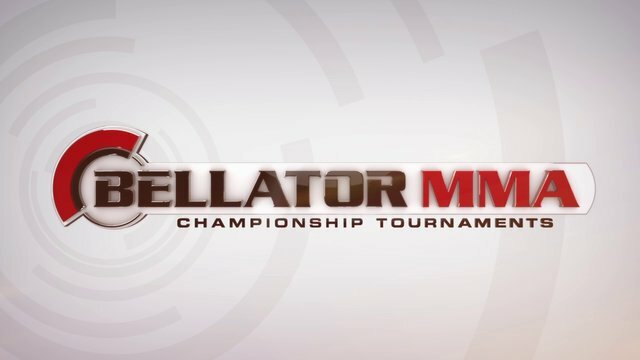 An interesting technique that Spike TV is using for Bellator is cross-promotion of brands, which was extremely successful in Japan as MMA fighters, kick-boxers, and pro wrestlers would appear on each others shows and also on the networks highest rated shows to boost ratings and create awareness with casual viewers. Spike TV is also said to be signing a TV deal with Glory, which promotes kick-boxing events. The combination of airing pro-wrestling, MMA, and kick-boxing and cross-promoting between the brands is a formula Spike is expected to apply this year and one with a great deal of potential. – DirecTV, US Navy, Paramount, and Jos. A Bank… which is a pretty strong group. – Bellator also just announced that it has also signed an extension with Everlast for another year. Ex-MMAPayout contributor Robert Joyner brings up an interesting point regarding the move to Spike TV. “Sponsors are seeing their audience triple, but I’m hearing a lot don’t want to move off old MTV pay”. Obviously, its going to take some time, but Bellator and their stable of fighters will have to slowly monetize the move, which means getting more sponsorship dollars for bringing in many more eyeballs to their brand placements on the cage and on the fighters. – Loretta Hunt of Sports Illustrated pointed out an interesting tweet, where the NBA’s Brooklyn Nets sent out a tweet to promote the Bellator debut on Spike TV, which created some unexpected synergy.
.@bellatormma premieres this Thursday at 10pm/9c on @spiketv! They have to be happy with those TV numbers but I’m not sure what to make of those gate numbers. I mean with two of their championship belts being defended I’m a bit surprised they had to comp almost as many tickets as they sold. Because I’ll be honest if that trend continues and Bellator comes anywhere close to me I’m not paying for a ticket I’m waiting till the last minute and hoping to get a good seat very very cheap or maybe even a comped ticket. Especially if it isn’t a strong lineup of bouts like this card was. Not good that so many people leaving the show. MMA has always got stronger ratings as the shows went on. People were leaving like rats from a sinking ship. They lost 350,000 viewers In 1 hour. It’s not a good sign that this is the lead in crowd that Spike is trying to tie in with Bellator. Even the title fight start of the show could t keep them from leaving. Mixed results here. We will just have to wait and see how this plays out over a few more events. Didn’t they show the main event first on purpose? People tuned in to see the title fight and left… same would happen if UFC did the same thing dummy. The co-main event was first plus with the strong lead in and heading towards midnight, the viewership was bound to drop off but the key here is that the viewership didn’t drop off dramatically. It was pretty stable until the Petruzelli vs Noe fight, which no one cared much about and was past midnight. Where do you guys get the Curran fight was the main event? Chandler is the bigger name fighter on that card and it was also a title fight verses a good opponent. That fight was much bigger than Curran. Not to mention the well advertised Babalu fight. I under stand the ratings would drop from the big lead in. But not after the first quarter hour ratings. But ratings declined through almost all the fights and the biggest fight, Chandler, was likely the real peak here. I dont buy that there was plenty of reason to tune in for the end of the card. As a long time fight fan i could careless about the Curran fight. HE is a step above a journeyman at this point and a known product. Not a superstar in the making like Chandler could possibly be. Hawn too going into the fight. With such good names and fights at the end it is very unusual for the ratings to decline like that. We are not talking about Brock Lesnar here. I doubt there is anyone who tuned in just to see the Curran fight and left. Those who left were TNA fans who just didnt get sold on the product. The entire point of the Curran fight as a lead off was to retain fans. The fight was good and it didnt keep them. Im just going by the first hour. I think it is a bad sign that many people left during a good fight. I think the problem is Between the UFC having the WWE as a lead in when it started and Brock Lesnars MMA career. There is no more pro wrestling fans who havent formed an opinion on MMA yet. Bellator not being able to keep them for 15 minutes shows their mind is made up. Bellator and Spike are banking on turning TNA fans into Bellator fans. This makes it look like they have their work cut out for them. Now i would understand the numbers declining the first 15 minutes sharpely and slowing picking up through out the hour or the show. But there was huge fluxuations. Im not saying these are not good numbers. They are very good. But im just saying this is something we need to keep an eye on. We will see what the numbers look like when TNA isnt as strong and the Bellator card isnt as strong and they dont lead off with a title fight. $138,000 live gate is really good for Bellator. Most people have the misconception that live gates in combat sports are high but they are not. In fact, many world championship HBO boxing events don’t have live gates much higher than what Bellator got. Defiinitely a good start. MMA as a whole is certainly too boring for most pro wresting fans to stick around. We’ve seen this happen in the UFC as the Brock Lesnar is over and with it he took a legion of fans. UFC relies on the hardcores now and that’s why you see the 200k average PPV buyrate. I agree with you there. Spike TV want’s TNA fans to tune into Bellator, just as they want MMA fans to tune into TNA, which I believed some did for last weeks event waiting for Bellator to come on. It’s not going to be easy, and everyone knows about MMA now a days. I think the long term strategy here for Spike is to try to cross-over as much as their network audience as possible. It’s why they are promoting King Mo, and having him participate in both TNA and Bellator will create some intrigue. We should see where the ratings stand in about a month or two. That will be very telling. You’re 100% correct about a lot of the fans in 2009 and 2010 only being around because of Lesnar and now they’re gone (they were not MMA fans to begin with, but Brock Lesnar fans). However, in 2012 the UFC averaged around 440,000 buys per show. 200,000 is considered a low seller for them, not average. Fair enough, but if you subscirbe to that viewpoint then it works both ways. Can’t ever claim to know that any pay-per-view ever is terrible, outstanding or anywhere in between. I get your point about it being inexact, though. I think Dave Meltzer does pretty much the best he can with the contacts he has in the industry. Well considering that there is an official figure released by HBO, it gives credence to their domestic numbers. UFC PPV buyrates are released by a third-party (Meltzer) and he includes international markets in the number. No? Meltzers numbers, for the most part, are North American PPV buys, but that’s around 90% of their overall PPV buys anyways. Very little comes internationally. WTF are you people talking about? Curran/Pitbull was NOT the main event, Chandler/Hawn was the main event, this card was gonna lead off with War Machine/Daley in the fight the fans voted for but Machine got hurt and Daley had visa trouble. Bellator decided they needed a big fight to kick off the card so they brought in Curran/Pitbull to kick off the event, it wasnt the main event since Hawn/Chandler was always booked as the main event. they had a float fight with Seth P that would happen after the main event on Spike.Com but they had time to air it so they put it on TV. Bellator right now is a tv product, its on Thurs at 10pm because they need the strong lead in from TNA to get viewers to watch. They will sacrifice ticket and gate numbers to establish the TV audience until they can possibly move to another night and then focus on gate/ticket sales. Right now they need to focus on tv so Thurs is the right night but that day and that time its gonna be hard to sell tickets which is why they were giving away tickets to anyone who wanted them. I think they will be ok with the ratings even though they are gonna see the ratings go down as the night goes on for some events but they should get enough viewers that first hour, 10-11 that even if they lose viewers the second hour or after midnight they should still be able to keep a solid average. The numbers for the mid season cards are gonna be interesting, without the big kickoff, without the huge TNA lead in for the debut, without Mo this week, when they only have a week between events to promote I think the numbers will drop off as the season goes on. I dont expect a million each week,. I think week three and four will be the big tests, if they can hold at a million for those shows thats a great sign but I think they will drop off to 700-800k for those shows, which would still be good ratings. Bellator wont last forever with TNA as a lead in. At soe point they will need to walk on their own. So its just a matter of time til they are moved to a different night. Spike wants more than 1 good ratings night and they need the TNA lead in to promote other new shows. So Bellator needs to establish their brand and create a following pretty fast. I would guess 2 years is what they are hoping for. If their ratings are not great they will be moved ahead of TNA imo. So this current marriage wont always be possible. Bellator wont always have 1 million plus viewers as a lead in. Something i think is going to hurt Bellator is the number of events they run. They already have a very weak product. You guys remember all the people yelling “over saturation” when the UFC added a few events a year. Bellator ran 25 events in 9 months last year. Their big events are not going to be a problem. The problem is when fans are bombarded with poor event week after week after week. Not all fans first exposure is going to be a King Mo card or a Michael Chandler card. So for many fans these weak cards are going to be what represents Bellator to them. A Majority of their product is going to be very lack luster and its going to do more hard to their brand than anything else. IMO it is the single biggest reason why their numbers on MTV2 were so volatile with massive fluctuations. They dont have enough talent to give a consistant product. So people just flat out leave the show for long periods of time. You cant built the brand if 75% of the events are not worth watching. This will ultimate kill their ability to be successful on PPV. Its like Spalding Shoes one day putting Mike Air Jordan prices on their Shoes after years of low quality products. Once they branded themselves as cheap with poor quality. They can never sell a shoe foe $130. Bellator cant keep pumping out mass produced events like they are King of the Cage and ever expect people to buy a PPV. This will eventually effect their ticket prices too. 10 events would allow them a consistant product. Not the case with 25 events.